Sol Heilo er kanskje best kjent som en fjerdedel av Katzenjammer. Denne kvelden kommer hun til Herr Nilsen med sitt soloprosjekt. Multiinstrumentalisten stiller med egne låter og et strålende band i ryggen! 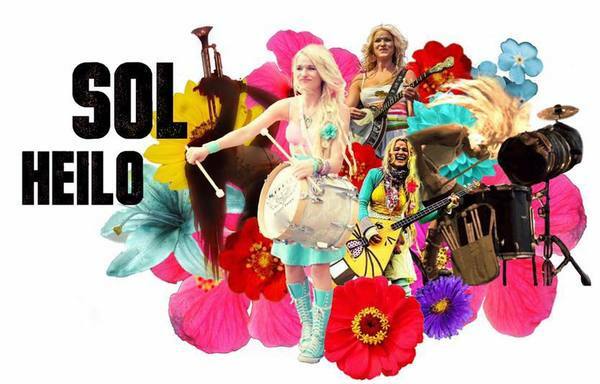 Sol Heilo, more familiar to festival audiences as one quarter of Katzenjammer, has always had a treasure trove of her own songs hidden in the closet. Now the closet is open and Sol is on tour as a solo artist. She retains the multi instrumentalist approach that made Katzenjammer such a delight live – in all, she plays 15 instruments - but this time lays bare an emotional register that is all her own, from whispered ballads to roaring barnstormers. Imagine Nick Drake, Beirut, Devendra Banhart, Bon Iver and PJ Harvey, all dressed to kill, with flowers in their hair and mischief on their minds, playing with a raw nerve and an emotional power that grabs you, shakes you and won't let go. Sol is the very definition of an extrovert performer, erasing the line between artist and audience, ripping up the map and taking you on a journey to the unknown. Her new band is responsive to every shift of mood on stage and bring out the very best in these new songs. If you're lucky, they may even give a new twist to songs you've heard from Sol before.